This is Abbey Memories from Tricia Cribbs 8th Turning Twenty Book Stained Glass & Scraps. I started this quilt in a class in July 2012 and finished the top a few months later. It’s turn for quilting finally came up last week. The fabrics — both the batiks and the black that I used for the leading came from Connecting Threads. The batting is Hobbs Heirloom 80/20 Black. The top thread is Fil-Tec T-40 Cotton/Poly Corespun in Black. The bobbin thread is Superiors Bottom Line in black. I used just less than 1 M-size bobbin. 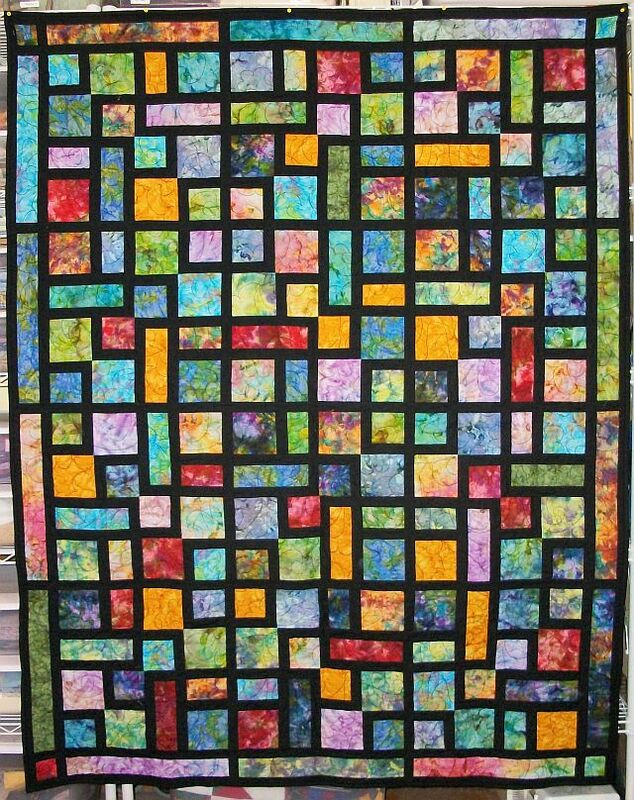 The quilting is “A Little Bit of Fluff”. After washing the quilt measures 55″ x 69″. Another quilt off my UFO list! Congratulations on the finish Pam. 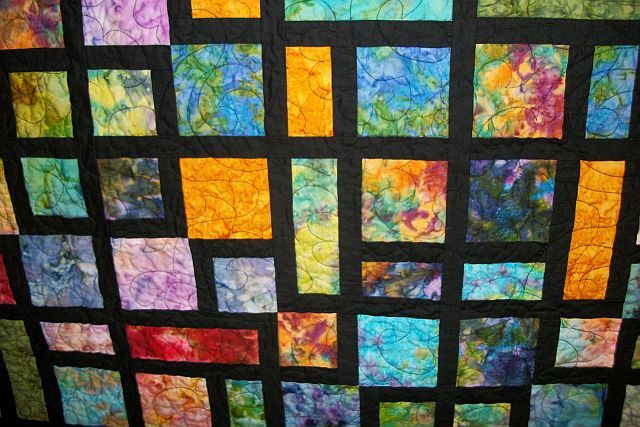 The batiks and black make a beautiful quilt.